We are witnessing the inexorable and the most interesting rise of Germany as the world power, at the center of her old European Empire. 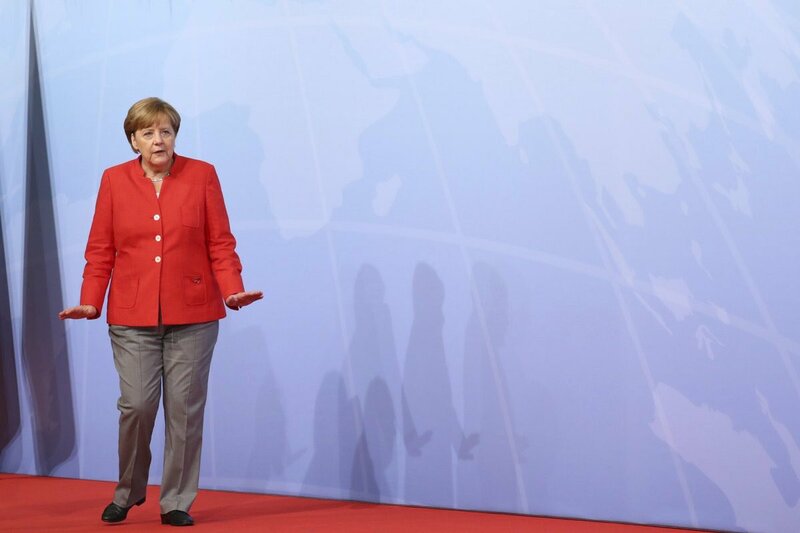 At the same time the recent changes in the utterances, verbalizations, pronouncements, and probably the future policies of the European politicians, and first of all Ms. Merkel, suggest that these new developments, along with the conceptual historical lines of the German independence and assertiveness, might have benefited from the Trump Presidency and the circumstances around it. And, which is much more, that this pattern of events and involvements that we see so far, might be indicative of a certain, perhaps, the leading, the strategic, and the planning role, that Germany hypothetically played in the Trump-Russia “affair” and “scandal”, according to the arguments presented in this article and as a matter of exercise in building a hypothesis for the journalistic investigation of the “Trump-Russia connections“. It is Germany who wants to “divide and rule”, feeling that this is her turn, and feeling supremely confident and self-assured, probably more than ever, of her “superiority”: economic, political, and racial. Here is the example of the “diplomatic” hypocrisy par excellence: “German economy minister threatens counter-measures in response to US sanctions on Russia“: “There is an aggressive tone in the German media and among politicians towards Berlin’s closest ally in the post-war period that has not been heard for a long time… The Frankfurter Allgemeine Zeitung even called for Germany to develop its own nuclear weapons [- GS – M.N.]. The way the American Democracy handles the “Trump Crisis”: measured, fair, truth and roots seeking, etc., etc., proves that it is a viable, strong, and self-sustaining institution, and I have no doubts that it will resolve and overcome this crisis and will come out of it stronger. In the end, it will enhance the security of the country and, do not be surprised, the global security. “What does not kill us, makes us stronger“. Hopefully, it will not kill us. But this crisis certainly raises a lot of interesting questions, and the role of Germany and her intelligence services in it should certainly be a part of these questions and a part of the Mr. Mueller’s, Intelligence bodies’, Congressional, journalistic, historical, and other investigations. The set of issues and questions which have to do with and to deal with the motivations are always important for investigations, it is important for understanding of “what happenned”, but answers are often elusive and subjectively colored, skewed by our projective tendencies, which bring our own backgrounds, personalities, and experience into our attempts at interpretations and understanding. To put it simply, it comes to a question: “Why do you think, he (she, they, etc.) did it? D. Hoffman claims, in his op-ed “The Russians Were Involved. But It Wasn’t About Collusion“, that in his “Operation Trump” Putin wanted to create turmoil and to prove that he is a worthy rival. I would argue that none of these goals would be as valuable to him as the genuinely good relations with the US, therefore this line of reasoning suggests the possibility of the third party or parties, who were just as interested in humiliating America as the Russians were, but were also interested, and maybe even more so, in humiliating and ridiculing the Russians themselves, by using them as their patsies and presenting them as the idiots, and also by re-planting and enhancing the level of hostility between US and Russia. Mr. Hoffman’s former colleagues, J. Sipher and S. Hall think that “maybe it was collusion”, the possibility of which “is impossible to rule out”. However, it is just as impossible “to rule out” the secret and overall directing role of the German intelligence in the case of the hypothetical German involvement, including the possible influence and manipulations of Putin’s and/or his intelligence services’ or other related structures’, the organized crime elements among them, thinking and plans. This staged, “probably innocent”, and “meant to be discovered” quality of the hypothetical or suspected “collusion incidents”, their unprofessional “loudness”, and their almost exhibitionistic character, only confirm this line of thought about the possible third party involvement. The candidates for this role of the secret Demiurge are not that many; and, in the order of probability, include the Germans, the Israelis, the Chinese, and the others; and all or none of the above. Go figure! However, all these possible attributional lines seem to intersect in its logical center (for the lack of better terminology available to a non-specialist) that seems to be Germany, which is connected with all the parties on her own terms and has especially close economic and geopolitical relations with Russia. To be somewhat schematic, this is the geopolitical US – Russia – Germany triangle in which economic sanctions on Russia became the geopolitical power tool and the important factor within the mutually competitive relations. This issue was addressed most bluntly and with a certain resonance by Friedman, among the others, who, I think, stated the axiomatic truths. He recognizes that Russia has legitimate interest for its sphere of influence. However, he doesn’t hide that US is trying to geopolitically defeat and humiliate Russia and limit its sphere of influence. Even though I fundamentally disagree with him about genuine American national and geopolitical interest in decades to come, his realpolitik gives us unique insight. So far it works the other way around: Russia and Germany take turns at driving wedges between the other two “partners”. 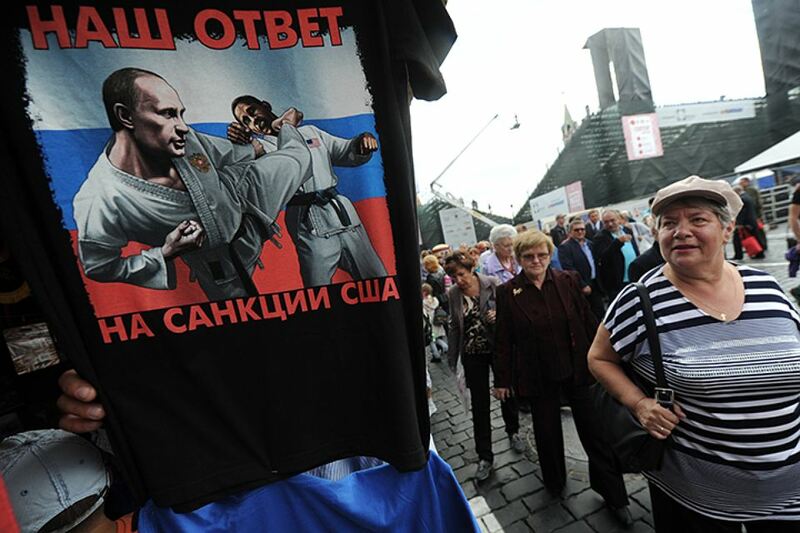 If in 2012 – 2016 it was the “martial arts hero” Putin who responded to sanctions with kicks at Obama on the posters, now it is matronly Merkel who kicks Trump on the cover of Der Spiegel. This is another example and the one more piece of evidence of Germany’s playing the hypocritical double game: by inserting herself in the US – Russia relations and deftly playing one side against the other, or rather playing her own tune, depending on the circumstances, and most definitely, playing her own side, and first of all minding her own interests. It’s “natural”, you might say. But not in these circumstances, when the object of the threat is nothing less but the fate and directions of the Western Civilization as we know it, and when these double games and the double dealings, evolved as the instruments of the historical survival, look and feel quite unnatural presently, and also quite pre-meditated, pre-planned, possibly pre-manufactured, and more than suspicious. Investigate the possible, the hypothetical role of Germany in the “Trump-Russia scandal” vigorously, objectively, and in-depth, this role might hold the key and provide the explanations. The strategic, long-term evaluation of the tensions within the US-Russia-Germany triangle also appears to be due and timely. Historically, from the ancient times, the attempts at the revolutions from above by the “subversion” and/or “co-optation” or “co-option” of the ruling elites, were, apparently, one of the most time-honored traditions, a part of the royal statecraft and entertainment, and highly thrilling and rewarding activities on the part of the states, statesmen, and their intelligence services. The use of the term and the theme of (child) “adoption” as a code word and the semantic substitute for the US elites’ and specifically Mr. Trump’s and his circle’s “co-option” by the Russian rulers, and by Putin in particular, most likely reflects their psychology and their condescending attitude towards this subject, as if by the wise adults towards the immature, silly, misbehaving children. The Russians, in turn, probably are viewed, perceived and rewarded with the same attitude by the Germans, who see the Russian actors in this tragicomedy as their own “useful idiots”, as their own “unwitting agents”, as their own tools, and as their own, masterfully deceived, “manipulated manipulators”. What do you see in this lady’s deep blue eyes? I suspect, that the artist, whose style was described as “the idealization and stylization of known celebrities”, was well paid for her artistic mastery of disguise, which cannot really hide the crude, artificially over-sweetened, commercial, superficial, cheap, lying, showy sentimentality. It looks like the famed German propaganda machine is in a full up-swing mode. “If you repeat a lie often enough, people will believe it, and you will even come to believe it yourself”, Goebbels said. If you exaggerate the lie ad absurdum and artfully, they and you might eventually believe it too. Would you trust the person in this portrait? 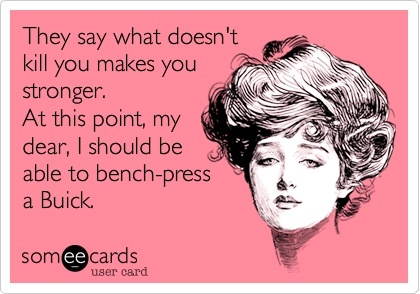 I wouldn’t. 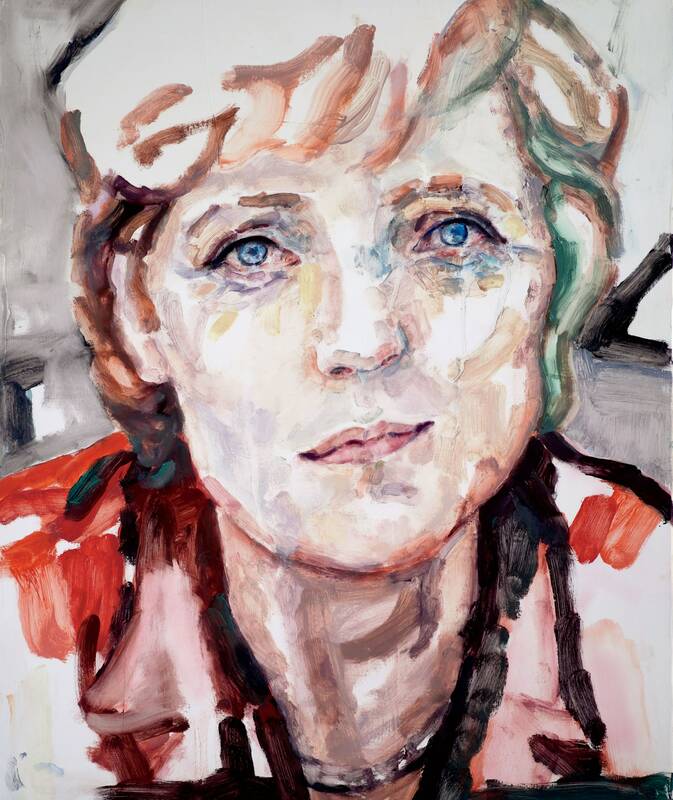 Is she really a person or a well tuned, calculating political mechanism, painted over, for her own political reasons, with these absurdly deep, incredible, helpless, domineering, loving, so feminine, and so mysterious German-Russian blue eyes? Some other interpretations of the same subject, just in case if you did not notice them, are here. By the way, do you think that with such the astonishing audacity, reach, breadth and depth of the German surveillance activities and penetration (the very important questions in these circumstances about the degree of the German infiltration of the US Intelligence and Security services, and the FBI first of all, remain essentially and quite conveniently unasked and unanswered), as they were described in these recent German spying episodes, the German Intelligence was not informed in details about Trump-Russia activities, affair, and scandal, especially given the situation with and around the Deutsche Bank? But the most intriguing questions are if the German Intelligence itself was involved in the planning and the execution of this affair from the beginning, using the Russians and the others as their unwitting patsies and laughing at them in the process. This is the more likely explanation for this tragicomedy, with all its funny incongruencies. It looks like the German historical revenge for their historical loss in the WWII, and the very convenient way to drive the wedge between two former allies and the Germany’s conquerors. And there are some signs that the German Intelligence (with its long standing and deep roots buried and alive within the American society) might have been very much involved in this affair, and still very much is. The traditional benefits of the “plausible deniability” were most likely provided to the Madam Chancellor by her faithful Intelligence servants. “Chancellor Angela Merkel, who took office in 2005, recently denied she had any knowledge of BND’s foreign spying operations. Apparently, some of her colleagues in the German Government and power structures have a directly opposite opinion on this subject. 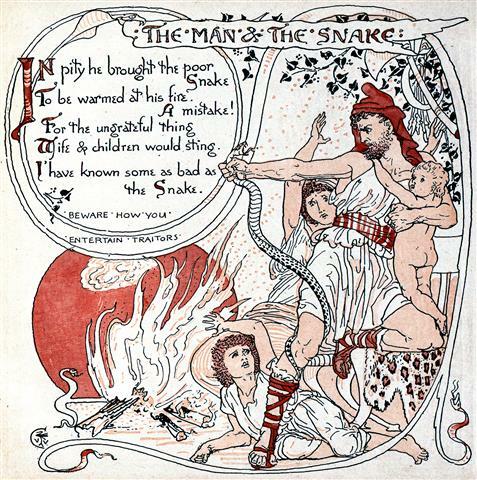 Doesn’t the whole situation remind you the old tale about the peasant and the snake that he saved? To be warmed at his fire. A mistake! Wife & children would sting. The fall of Trump might mean the eventual fall of Putin after the loss of his “last straw” and the non-delivery of the relief of sanctions and other goodies, which might be viewed as the “breach of contract” by the Russian ruling elites. That is why Putin might feel strongly committed to help Trump and to do everything he can to enhance Trump’s chances for political survival. They are the Siamese twins now, joined at the hip. The recent events only confirm this monstrosity, despite all their “pragmatic values”. The antagonistic – competitive aspect is the part of their fledgling symbiotic relationship. With the fall of Putin, the whole system of Putinism might collapse, despite its illusory stability, exposing all its ugly criminal Mafiosi underpinnings. This might lead to the major political repercussions inside Russia and on the global geopolitical scene. 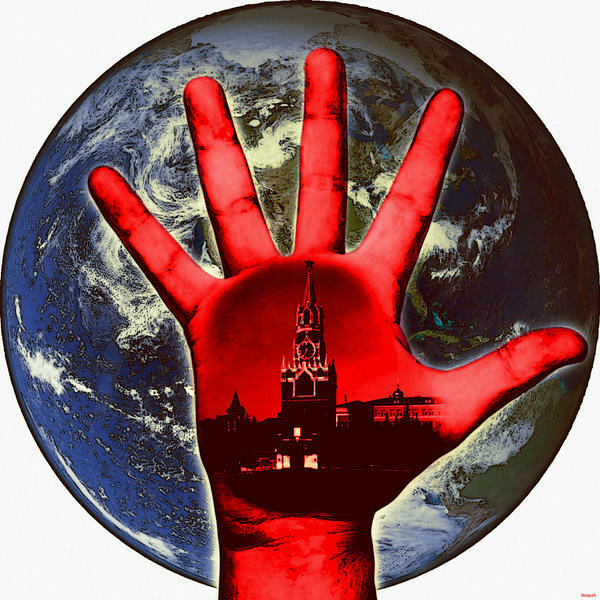 The “Invisible” Hand Of The Kremlin pulls the strings: force Sessions to resign, fire Mueller, suppress the investigation. The “Kremlin Playbook” plan apparently is to turn America into the Russian vassal, into the Putinist-Trumpist entity with the tight micromanagement directly from the Putin’s office. Who and what are the culprits to point the finger at? The Russians, the Mob, the Germans, the Israelis, the Chinese, the Persian cats, any other cats, the excessive role of money in American politics, the fall in the standards of the moral-political values? All of these together, in various degrees, mixtures, combinations, and affiliations, imaginable and unimaginable? Can you picture this situation now? Is this a result of the irrational, sick, determined, aggressive, evil, malevolent, vicious hatred, envy, and the fear of America? The “soft power” concepts and the “understanding” diplomacy did not help much to diffuse these sentiments, despite the long, determined, and the sincere well-wishing efforts. This well intentioned, “eyes wide shut” blindness also paved the way to the present hell in which we find ourselves landed, now longing to keep our noses held. With all this, the serious and reasonable doubts about the “Russia only” hypothesis do persist, especially among the experts, and Mark Galeotti is considered to be among them. This is the same quality of “excessive, inappropriate, unprofessional loudness” that was astutely observed and discussed at the Congressional Hearings and that became a puzzle for many observers, as it was discussed earlier. The peculiar position of Germany was also noted by the observers. It might be somewhat premature to make any definitive impressions and conclusions before the Mueller Investigation is completed and its results are revealed. But the enormous, pivotal, trend setting importance of these issues are not doubted and disputed by anyone. Do perform and publish the historical-political study of the foreign interference into the American political processes and elections from the beginning of the past century: in-depth, objective, detailed and well researched. There are definitely the lessons to learn from all of this. The present episode is really unprecedented and “unpresidented“, it can be explained in part by the Putin’s and his criminal Mafiosi minions’ extraordinary chutzpah and cunning, but these endeavors were not built on an empty ground, they have “solid and venerable” KGB foundation going back decades. The Russians, just like the Germans and the others, love, preserve and study with diligence the historical traditions and the skills of their spycraft, especially if they worked, and worked well. As many people did say, it does encourage them to continue their pursuits unabated, especially if there is no resistance to them; just the bewilderment and confusion. “Congrats”, bros. And what are you going to do about it now? The self-assuring claims, including my own, that “it will never work” in America are not enough. Do you want a dangerous BS-er-In-Chief as your President? Donald Trump as the stimulus for “the Coming Fall of American Empire” is apparently in many “common and uncommon dreams” as well as in many “progressivists’ leftist hopes. 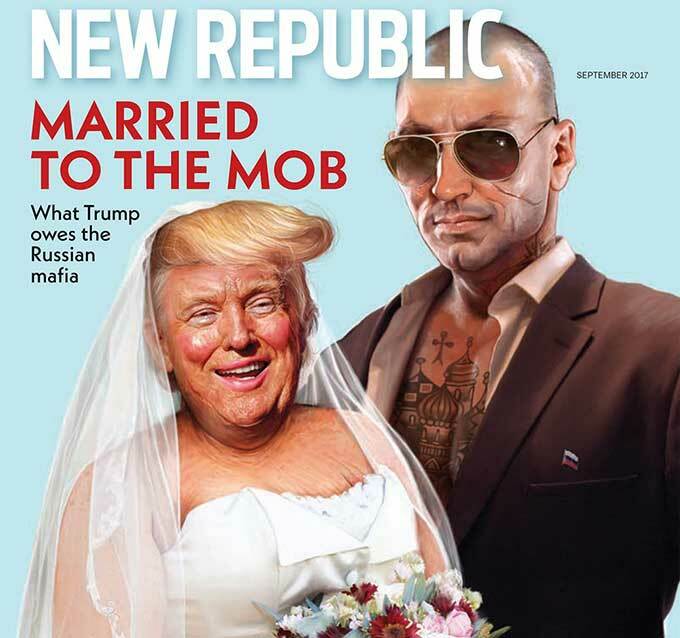 Trump is “married to the Mob”: literally, figuratively, or both? The question of motivation, difficult as always, apart, the couple apparently, got a nice dowry: a “yuuuge” big money washing machine, with a hair blow-dryer, included. We live in the age of the marriage equalities. Whatever way it is, it appears that the Deutsche Bank was a happy and very satisfied “interested party”, or maybe even the main witness in this “marriage”, and also the matchmaker, and the dealmaker with a lot of paper, water, and soap. Germany appears to be the only real-time political beneficiary of “Trump-Russia scandal”, not Russia or Israel as if the scenarios were known, played out, and planned by them, with skillful masking. Weak Trump means weak Putin because at this point they appear to derive their political and geopolitical strength from each other, and the one who shines on this backdrop is Merkel. Previous PostPrevious It is Germany who wants to “divide and rule”, feeling that this is her turn, and aware of her “superiority”: economic, political, and racial. The example of the “diplomatic” hypocrisy par excellence: “German economy minister threatens counter-measures in response to US sanctions on Russia.” See also other posts on Germany: the most amazing story!